Warmer weather and melted snow means that we can finally take a closer look at all of our exterior nooks and crannies. While dropping everything and heading for the beach may sound preferable, Building Pro Inspections in Kelowna can help you knock these annual tasks off your spring maintenance checklist below. Ensuring adequate water drainage away from your home and foundation with healthy gutters and downspouts is essential. Clean organic debris from your roofs’ drainage system. Repair and reattach any gutters that have been pulled away due to damage from snow and ice dams. Check that your gutters are draining to their fullest potential by running a garden hose flush. Inspect roof soffits, eaves and surface flashing. Arrange to collect the rainwater for the garden or direct downspouts into nearby vegetation. 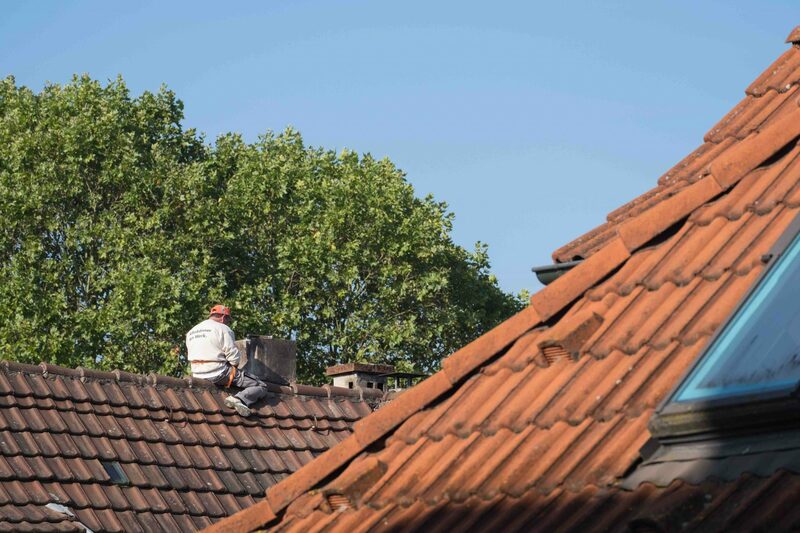 Look carefully around the chimney for signs of rusted, lifted or loose flashing and repair. If you rely on a wood fireplace, be sure to sweep out your chimney every spring and fall to prevent dangerous creosote build up. 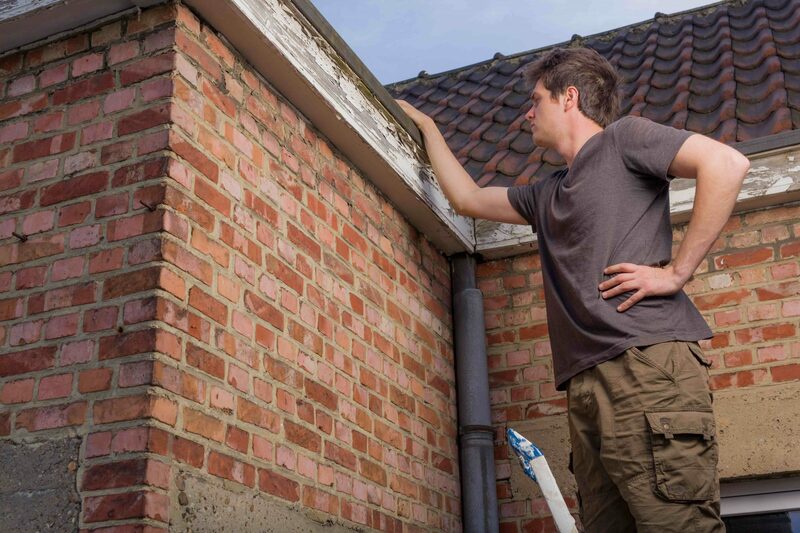 Note any cracked, broken or missing masonry and arrange for professional repair. Use your pressure washer to blast away any potential mold or mildew. Inspect wood surfaces for signs of weathering where paint is missing. Scrape any peeling paint, thoroughly sand the surface and apply a primer coat. Maintaining clean and protected deck and stair surfaces is an important safety feature. Foundation cracks or masonry repairs are much easier to detect in a clean driveway surface where they can be noticed. Avoid a tremendous amount of energy loss can be by checking and properly sealing every window and door. Inspect exterior caulking and check for deterioration. Remove all of the eroding material and re-caulk each area as required. Clean all window screens and inspect for holes. Bugs can access entry through the tiniest openings. Patch screen or replace. Ensure all hardware is secure and fasten screen to prevent wind damage. Fill all cracks in window and doors sills and caulk edges to reseal. Notice if there is any condensation in between your windows. Replace damaged, cracked or broken windows. 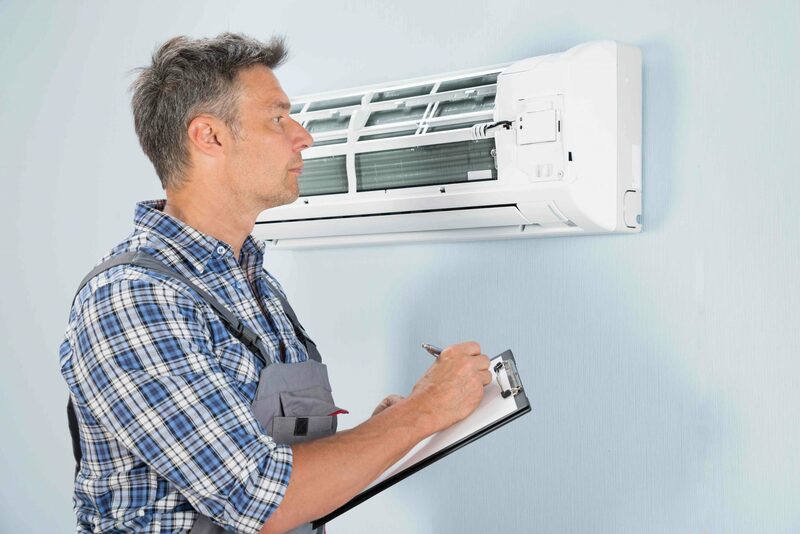 Building Pro Inspections, your Kelowna home inspector, recommends paying close attention prior to turning on your air conditioner, heat pump, humidifier or irrigation system. Check for any worn or cracked belts and replace as necessary. Ensure all motors and pumps are lubricated. Change your furnace filter and all filters to start the season fresh. If you don’t feel comfortable conducting these aspects of home maintenance, hire an experienced professional. Walk your perimeter and check all banisters, deck and stair supports. Shaky banisters may be indicative of rotten foundations or deterioration. Replace loose boards and reattach lifting ones. Determine if the wood needs to be resealed and treated depending on how much sun and moisture it takes. Wood decks need to be retreated every 4 to 6 years, however, every 2 to 3 years is more realistic for certain sun-drenched locations in the Okanagan. Spring is the ideal time to assess and amend any sprinkler head or irrigation pipe, solenoid or timer issues. Leaky valves, plugged or broken sprinkler heads, exposed lines and any water problems need to be sorted out, prior to the hot, dry summer temperatures taking hold. Conduct your repairs during the damp season of spring to ensure all garden and grass locations will be thoroughly hydrated during the summer drought. Call Building Pro Inspections Today! We are happy to provide a comprehensive inspection and thorough report. If you are considering buying or selling, or desire more history on your current building, we can help! Call Building Pro Inspections in Kelowna today for all of your residential and commercial needs.